2016 has been an interesting year. As it draws to a close, it's worth looking back on some of the positive things that have happened around the park. We survived the worst of the drought. With the return of rain, our field, foliage and gardens are rebounding. It was touch and go there for a while. Thanks go out to our Ladybug Gardener volunteers for keeping the grounds looking good through the struggles. Inside and out, the Rec Center is still looking good despite the crush of popularity that takes a toll. The wooden floors were refinished, playground equipment has been repaired and replaced, and all of the exterior walls have received new paint. Special thanks go out to our painter Joe and his crew for that, and for the constant, speedy touch-ups to keep the place looking fresh and cared for. We have enjoyed an amazing array of programmed and casual activities, exciting sports competition, family events, great play dates, picnics, parties, and informative civic meetings. Thank you to everyone in our growing Rec Center community for your participation and for the love and respect that you show toward each other and the park. Registration for activities begins Saturday, December 17 at 10 a.m. Rec Center staff is happy to assist. 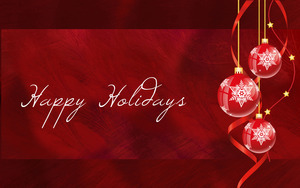 Browse classes now and add them to your wish list at www.sfreconline.org . Jr. Warriors basketball season begins in January. Baseball registration for next season is already open. These fill up quickly. Register now. The gym is also available for private games every night after hours (9 - 11 weekdays, after 5 on weekends). Inquire at the Upper Noe office. Karaoke for Adults every Friday from 6:30 – 8:30 p.m. Please, please, please plan ahead for your children and nannies. The Rec Center programs toddler activities only at specified hours not the entire day. In bad weather, the lobby becomes overcrowded between activities. It is no substitute for the playground. Adults come and go from classes and workers move equipment and perform their duties. This can present safety issues for children. In addition, adults must navigate between, over and around scattered toys, blankets and strollers, causing concerns for them as well. To top it off, strollers are no longer permitted inside the gym and must be parked in the lobby creating even more congestion. Upper Noe staff has no flexibility on this directive. The center serves a wide range of needs and the staff strives to strike an appropriate balance. Indoor space is made available for small children as much as possible when other activities are not booked with classes for older children and adults. To that end, Auditorium Free Play hours are expanding during Winter Session. Starting on January 3rd, staff added Thursdays from 4 to 6 p.m. and extended Tuesdays and Wednesdays an extra half-hour. If you have any suggestions about alternate location to visit on rainy, cold or windy days, we would be happy to help spread the word. Just in time for the holidays. 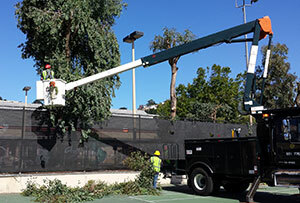 Rec & Park arborists came en masse on Wed Dec 14 and addressed the whole property, especially the eucalyptus between the tennis courts and playground. Thanks guys. It is going to be a stormy season and our facilities coordinator Cheryl Woltjen wanted to ensure that everyone is safe. New limbs and leaves will soon sprout providing shade again by springtime. Upper Noe Neighbors is working in conjunction with Friends of the Urban Forest to offer owners and tenants in Noe Valley an opportunity for new street trees in January. Have a street tree planted at reduced cost and effort. Applications for a free site inspection are due by December 21. See details at http://uppernoeneighbors.com/issues/trees/ . Expect increased crowds in Joby’s Run. 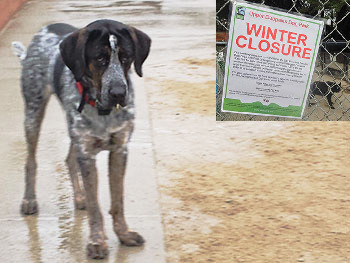 Nearby dog runs, such as Douglass Park, close or become unusable because of the rain in winter. In addition, Rec & Park is getting ready to implement their Natural Resource Area Management Plan, which looks to remove large sections of the dog play areas in Bernal Heights and McLaren Parks. Find out more about this at the January 11 Upper Noe Neighbors Meeting. SF Rec & Park Natural Resource Area Management Plan.